ROME/PARIS (Reuters) -- Toyota Motor Corp. is not interested in bidding for the Sicilian car production plant that Italy's Fiat S.p.A. plans to shut by year-end 2011, a Toyota spokeswoman and an Italian government adviser said on Wednesday. Italy's government, via adviser Invitalia, is seeking a bidder for the money-losing Termini Imerese plant, which employs about 1,400. 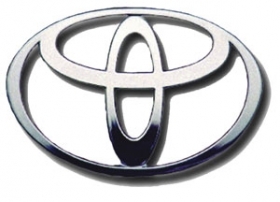 "So far, our offices have not received any manifestation of interest from the Toyota group," Invitalia said in a statement, denying Italian media speculation of a possible bid from the Japanese automaker. A spokeswoman for Toyota Europe said the group was not in talks, nor planned to take over the Termini plant, adding that the Toyota Europe did not currently need to boost its capacity in the continent. Fiat, Italy's biggest industrial group, is spinning off its carmaking business from its broader industrial activities. Fiat, whose ambition is to become a global player through improved efficiency, owns 20 percent of U.S.-based Chrysler Group LLC and has options to raise its stake to 35 percent and then 51 percent.